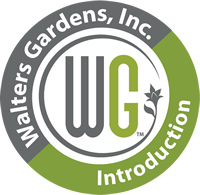 Top New Items for 16-17 | Walters Gardens, Inc.
(Ornamental Onion) Similar in flower color and foliage to ‘Blue Eddy', but in a much larger form. Twisty leaves form a low mound of grey-green foliage. Nodding buds look like the heads of snakes before they open to light amethyst purple flowers. (Blue Star) New stems emerge near-black like a dark rain cloud. Dark green leaves have silver veining and forms a wide, mounded habit. Light periwinkle blue, star-shaped flowers cover the plant for many weeks. 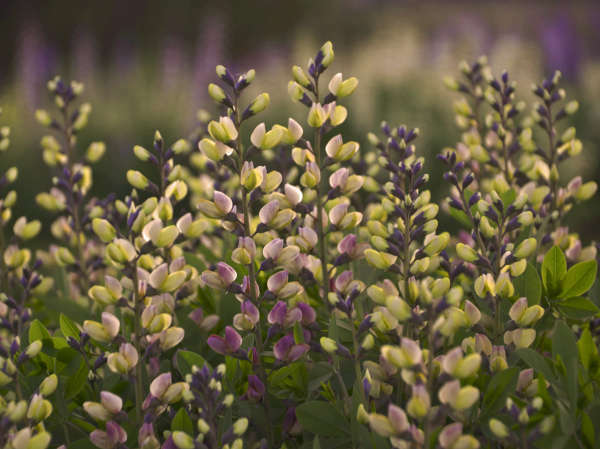 (False Indigo) Extremely long, 18in lilac purple flower spikes with pale yellow keels rise above the full, wide clump of foliage. Flowers lighten to dusty lavender purple with age, and are more of a reddish hue than B. australis. (Butterfly Bush) A color break for Buddleia! 10in long, bright cerise pink flower spikes cover the upright, gumdrop-shaped habit. Compared to ‘Queen of Hearts', ‘Prince Charming' is closer to raspberry pink than purple. (Threadleaf Coreopsis) 13/4in wide, fiery sunset orange flowers have intense red-orange color concentrated at the centers of the petals. Graygreen, threadlike foliage forms a perfectly domed, rounded, and uniform habit. (Threadleaf Coreopsis) 11/2in wide, golden yellow flowers with clear, dark red eyes have wider petals. The rounded, compact habit has excellent flower coverage, looking like a blanket of flowers. Bright green, threadleaf foliage. (Threadleaf Coreopsis) Beautiful 11/2in, rich, deep red flowers. Bright green, threadleaf foliage forms a compact, rounded, and uniform mound. (Threadleaf Coreopsis) 11/2in, light ivory flowers have dark magenta centers which spread toward the edge of the petals. Bright green, threadleaf foliage forms a compact, rounded mound. (Pinks) Improvement over ‘Black Cherry Wild', more consistent, formal flowers than its predecessor. 1¼in, rich, semi-double velvety red flowers have a fine, serrated, near white edge. Flower stems are strong, and are produced above the silvery blue foliage. (Pinks) Unique color! 1½ -2in, incredibly vibrant fuchsia pink, double flowers have deep red eyes and heavily serrated petals. Steel blue foliage complements the bright flower color. (Pinks) Prized for its bright flower color and increased heat tolerance. ¾-1in wide, single fuchsia flowers with lavender centers and incredibly serrated petals. Flowers completely cover the glaucous blue foliage when it's in peak. (Pinks) Prized for its bright flower color and increased heat tolerance. ¾-1in wide, single vibrant magenta pink flowers and incredibly serrated petals. Flowers completely cover the glaucous blue foliage when it's in peak. (Coneflower) Glowing fuchsia pink flowers have single ray petals that are held horizontally underneath the large pom-pom blooms. Attractive dark green leaves and dark stems on compact plants. From Marco van Noort. (Blue Fescue) Taller and more vigorous than ‘Elijah Blue', with longer leaves and a brighter, silvery blue foliage color. Forms a fully rounded, robust clump with consistent flower coverage. Yellow-green flowers age to tan as the season progresses. (Brown) Considered a polychrome daylily or a blend of colors, including pink, gold, cream and yellow. Golden yellow color is concentrated in the center of the petals. Attractive ruffling. Very good rebloom in our fields although not registered as such. (Coral Bells) The perfect combination of lime foliage and red flowers! Medium sized, lime green leaves have a silver overlay. Dark rose red stems hold rich ruby red flowers, starting in early summer. This plant occasionally reblooms into fall. (Coral Bells) Unlike other silver Heucheras, ‘Silver Gumdrop' has vibrant pink flowers instead of the typical white. A smaller scale Heuchera with silver, iridescent leaves and a semi-glossy finish. Leaves take on a rosy blush overtone later in the season. (Coral Bells) Meet the new standard in black Heuchera! 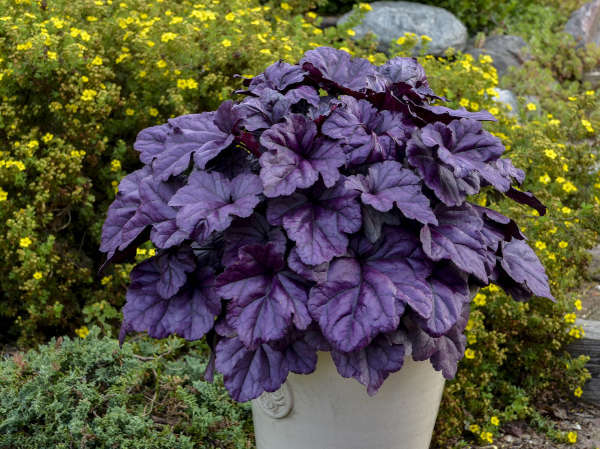 Forms a dense habit of shiny, jet black leaves with scalloped, ruffled edges and rosy purple undersides. Keeps its intense black color even in full sun. White flowers are held in pink calyxes (requires vernalization to bloom). (Coral Bells) A big and beautiful perennial! Leaves are chartreuse in spring and mellow to lime green in summer. Huge, 5in wide clusters of medium pink flowers appear all summer long. Flowers dry on the stems to a lovely raspberry color. Best in filtered sun or afternoon shade. (Coral Bells) New leaves emerge near black and lighten to an intense purple with dramatic black veining. Dainty, bright fuchsia pink flowers. Brighter purple foliage color, more attractive flowers, and improved floral performance compared to ‘Grape Expectations'. (Coral Bells) Newest leaves emerge dusty rose and transition to light pewter with charcoal veining. Dusty rose color lingers on the pewter leaves for an extended time. Forms a dense but petite habit. Rosy pink buds open to cream flowers on proportionate flower stems. (Foamy Bells) Leaves emerge red with dark red centers early in spring, before lightening to bronze red. Lobed leaves create a unique lacy texture in the garden. The leaves mellow to deep green later in the season. Cream flowers. (Foamy Bells) Newest leaves in spring are coppery red, a brighter red than ‘Hopscotch'. Large, deeply lobed, finger-like leaves have burgundy red centers. The leaves mellow to olive green later in the season. Burgundy rose stems hold creamy white flowers. (Foamy Bells) A polished, vigorous perennial. Rounded, vibrant lime green leaves have defined flameshaped markings that flare from the center like cherry red fire. In summer, markings deepen to mahogany. Cream flowers. Best in filtered sun or afternoon shade. (Foamy Bells) A perfect complement for yellow or red foliage plants. Large, dissected silvery green leaves have incredibly deep colored veining and form a very full, rounded clump. Newest leaves are olive green with a purple cast. Cream flowers. (Foamy Bells) Bronze red leaves emerge in late spring and hold its color well into early summer. Each lobed leaf has deep mahogany centers that follow the veins of the leaf. Dark red stems hold cream flowers. (Rose Mallow) Great feminine appeal! Huge 7in wide, ruffled flowers are white with a deep red eye. Blush pink color appears on the edges of the petals, creating a pinwheel effect. Attractive, bright green leaves form a polished, upright habit with an extremely high bud count. (Rose Mallow) A refined, full habit with a fantastic, floriferous performance. Huge 7-8in hot cerise red flowers. Medium green, maple-like leaves are accented by olive green edges. Flowers are produced from the top to the bottom of the plant. (Shasta Daisy) Boasts an enormous flower size and an incredibly compact, dome-like habit. 41/2in, creamy white flowers have two rows of very long petals that are held tight against the attractive, dark green foliage. A free-flowering variety. (Beardtongue) Named for the famous black-bearded pirate, this perennial has incredible dark eggplant purple foliage. Dark purple flower stems hold its lilac purple flowers with white flaring tubes. Stays strictly upright all season long. (Russian Sage) A shorter, manageable Russian Sage that is still vigorous in the landscape and production. Lavender blue flowers held in smoky purple calyxes bloom for a long period starting in midsummer, with the color from the calyxes extending appeal into fall. (Hybrid Phlox) Behaves like ‘Minnie Pearl'. Light amethyst pink flowers with a white eye are produced in loose, rounded panicles in early summer and reblooms again in early fall. Glossy, bright green foliage stays clean all season. Spreads slowly by rhizomes. (Hybrid Phlox) Pure white flowers with a faint light purple eye. Broad, dark green, thick foliage stays beautiful all season. (Hybrid Phlox) Perfectly defined panicles of light lavender pink flowers bloom prolifically. Broad, thick, bright green foliage stays beautiful all season. (Hybrid Phlox) A refined, perfect-looking habit. Pale lavender flowers with a lavender pink eye. Narrow, spiky, dark green foliage stays beautiful all season. (Hybrid Phlox) The very first of the series to bloom. Light fuchsia pink flowers and a darker pink eye. Broad, thick, glossy green foliage stays beautiful all season. (Cleft Phlox) A groundcover with a neat habit and great flower coverage that behaves similarly to Phlox subulata but flowers earlier. Forms a low, restrained mound of unique periwinkle blue flowers. Deeply cleft petal lobes give the flowers a more feathery look. (Hybrid Phlox) This groundcover Phlox behaves similarly to Phlox subulata, but grows lower to the ground, spreads slowly, and is more restrained than popular varieties. Small, intense violet purple flowers have notched, upturned petals that look like pinwheels. From Jim Ault at Chicagoland Grows®. (Little Bluestem) A result of an extensive Schizachyrium breeding program. Upright and columnar habit stays upright all season, silvery blue leaves in summer. Deep wine fall color. (Spiderwort) Finally, a gold foliage Spiderwort that doesn't burn in sun! Grass-like, chartreuse foliage transitions to gold with more sun exposure. Small, three-petaled soft blue flowers cover the arching, bushy clumping habit. (Spike Speedwell) A better performing pink flowering Veronica; replaces ‘Sweet Lullaby'. Baby pink flowers cover the top half of the plant. Deep green foliage forms a rounded, low habit that is packed full of flowers. Requires vernalization to bloom. (Spike Speedwell) This taller perennial provides height in the garden without too much horizontal space. Lavender blue flower spikes cover the top half of an incredibly upright, dense habit of dark green leaves. (Spike Speedwell) Paintbrush-like spikes produce white buds that open to medium pink flowers, creating a bicolor look. Attractive flowers cover the top ½ of the plant, showing off its healthy medium green leaves on a beautifully rounded habit. 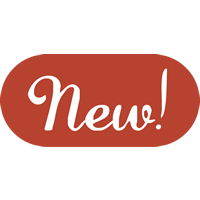 (Spike Speedwell) Discover your new speedwell staple! Violet purple flowers cover the top half of the plant, showcasing its dark green foliage. A remontant variety; sheering will encourage rebloom later in the season.